Will President Trump get Edward Snowden? 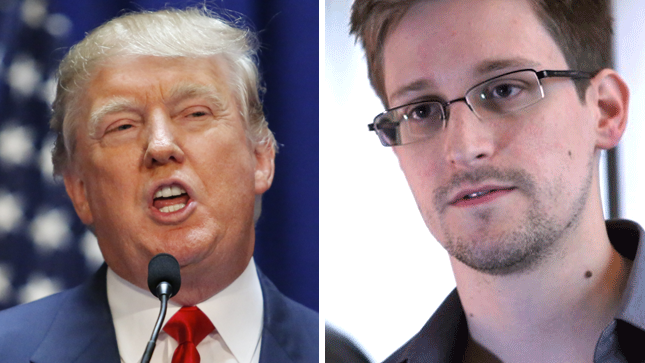 Since Trump and Putin seem to like each other, is it likely that a President Trump’s newly-befriended Russia would throw Edward Snowden under the extradition bus? Let’s see what Trump has said about Snowden. I think Snowden is a terrible threat, I think he’s a terrible traitor, and you know what we used to do in the good old days when we were a strong country — you know what we used to do to traitors, right? When you just asked the question about Snowden, I will tell you right from the beginning, I said he was a spy and we should get him back. And if Russia respected our country, they would have sent him back immediately, but he was a spy. It didn’t take me a long time to figure that one out. Here’s what Putin has said about Trump. [Donald Trump is] a really brilliant and talented person, without any doubt. It’s not our job to judge his qualities, that’s a job for American voters, but he’s the absolute leader in the presidential race. … He says he wants to move on to a new, more substantial relationship, a deeper relationship with Russia, how can we not welcome that? Of course we welcome that. And what Trump said of Putin. With warmed relations, Snowden may quickly lose his value as a geopolitical “trump” card and find himself on a one-way flight to Guantanamo. Maybe he should start country shopping?